Live video streaming on the Internet is nothing new. Over the years we have seen tons of services come and go including, Justin.tv, Ustream.TV, Qik... Even YouTube joined the game and introduced a live video service. 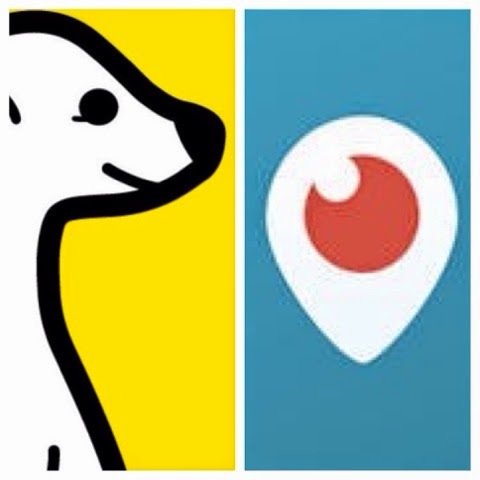 So, what makes Meerkat and Periscope so special? They are both mobile focused, simple, interactive and integrate with Twitter. They are perfect options for those folks that may want to do a quick live shot from an event, or maybe a quick Q&A. News outlets have definitely jumped on the bandwagon. They are using the services to share exclusive live footage while gathering news stories. This truly gives a social option when it comes to LIVE breaking news. Both services have a chat option. With Meerkat, the chat actually puts your interaction into a tweet to the person you are watching. 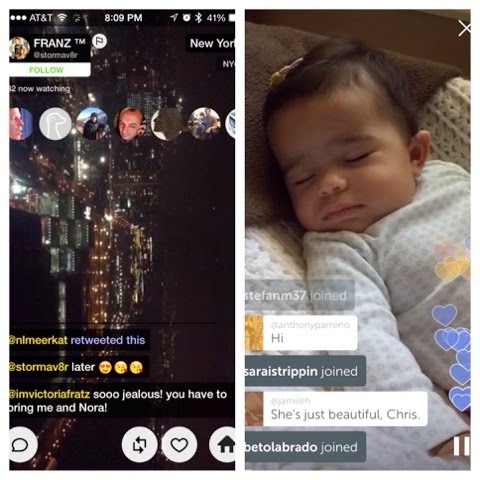 On Periscope, the chat is seprate from your Twitter feed. Both services allow you to save your video. Periscope gives you the option to share your video with your followers for 24 hours after you posted it (very snapchat like). 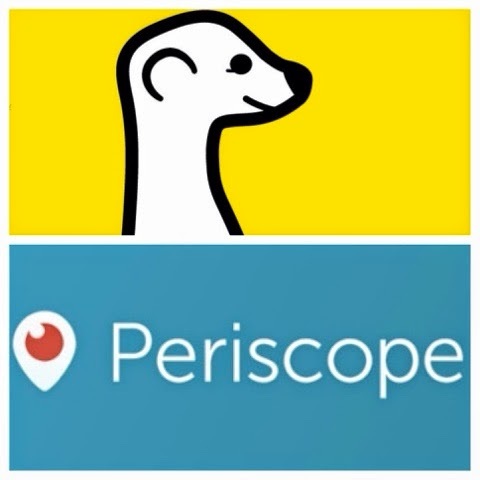 Meerkat lets you download the video to your phone so you can share it on other services. Periscope has become a popular service for celebs and news sources thanks to the Twitter connection. Meerkat has really attracted the average streamer with a few blogs and popular sites. The UI for periscope is very simple, just a list of videos. 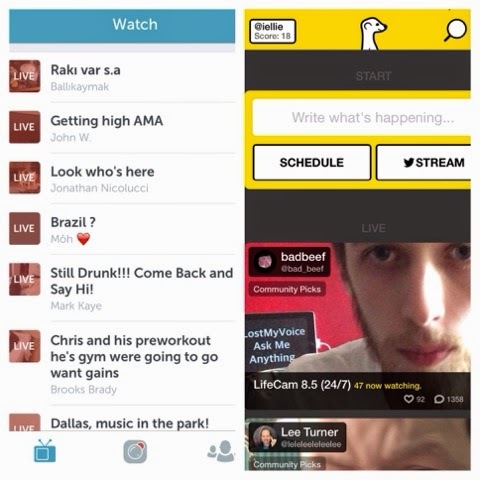 The UI for Meerkat is image focused and looks more like a social network. So which one will win? Periscope is owned by Twitter and I suspect updates and further integration with Twitter. Meerkat has the opportunity to really stand on its own. However, I could totally see it getting bought by a bigger social network. The answer, it's too soon to tell.